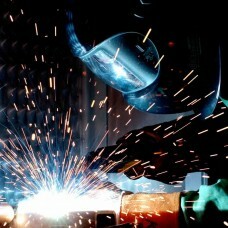 Once designed and approved your project will be put into fabrication. This is where Dio-Met's highly skilled workforce get involved and start to manufacture your items to a detailed fabrication drawing. Our manufacturing capabilities are vast and each project is dealt with professionally and with exceptional attention to detail. Once fabricated, all products go through a detailed inspection and checking process to ensure absolute quality assurance for each customer. This quality assurance process is without doubt one of the main reasons Dio-Met has retained so many repeat customers and recommendations through 20+ years of trading. All supply only products are packaged with care to protect in transit with our couriers. Where possible Dio-Met use pallet couriers to minimise manual handling for both the delivery drivers and our customers at the time of delivery.